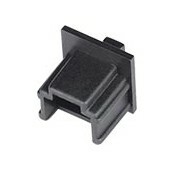 AURORA, OH: Video Products Inc is now offering a wide selection of connector covers in packages of 10, 100 and 1000. 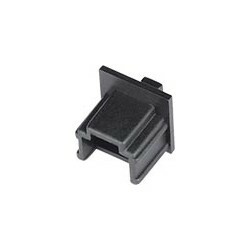 VPI's plastic dust caps provide a tight fit to protect plugs, sockets, jacks and connectors form physical damage, dust, dirt, grime, and liquids. The connector covers secure tightly, but are easy to remove. VPI offers a wide selection of covers in packages of 10, 100 and 1000 for many types of connectors, including: HDMI, DVI, DisplayPort / Mini DisplayPort, Apple iPad/iPod/iPhone, USB, 1394 FireWire, eSATA, MiniDIN 4, MiniDIN 6, RJ45, RJ11, BNC, RCA, D-Sub, 15HD, DB9, DB15, DB25, and DC power plugs. Available for immediate sale, the connector covers are priced very reasonably.